What do you do when you have left over puff puff batter that you consider too sour for…puff puff? 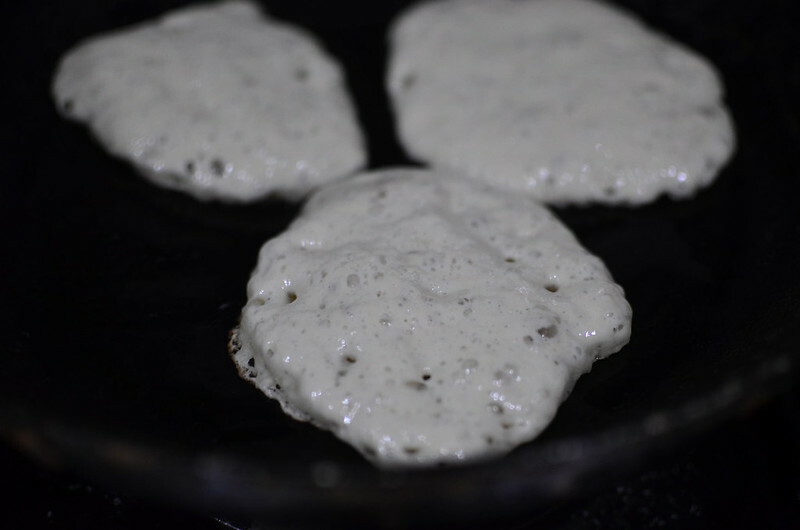 You make pan bread – batter fried in lightly oiled pans till they cook, crepe like/ pancake like. On rare occasion, I have leftover puff puff batter. Batter because it is ‘pourable’, not dough which is ‘cuttable’. So on some occasions, I have puff puff batter left over. Stored in the fridge. 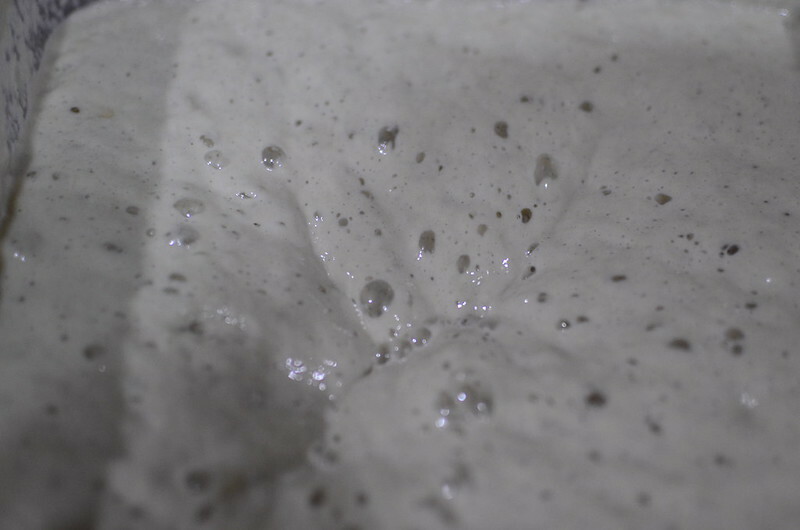 What happens to puff puff batter when it’s past its puff puff prime is…it thins in texture and sours in flavour – the perfect starter for sour dough bread if you like. That’s one way. The other? 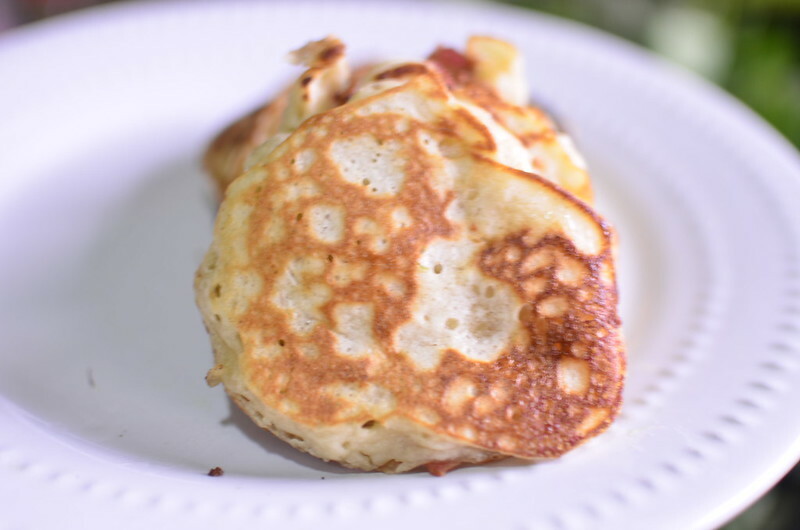 Make pan bread – small, pancake-ooking breads which cook quickly and taste really good. These pan breads can also be seasoned – honey or some other sweetener if you will; garlic and chilies for a savoury take; seeds and nuts for some crunch – the choice really is yours. 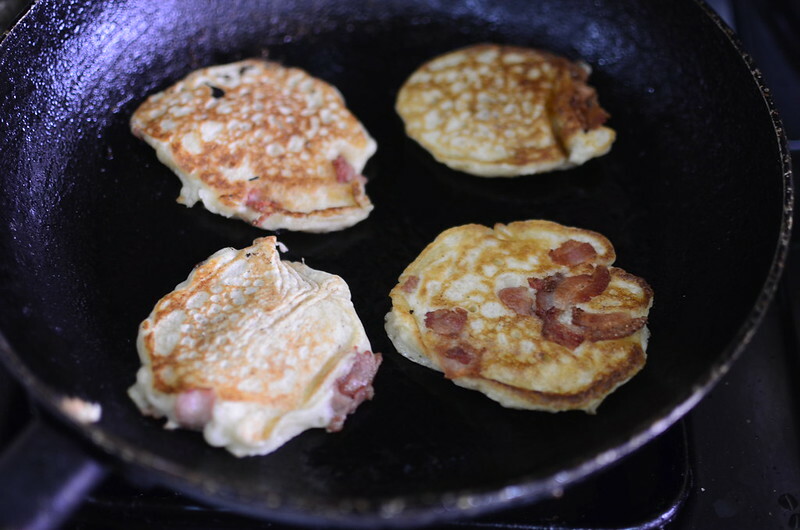 After making plain versions for dinner, to accompany pasta, we upped things a bit with some bacon in the mix – cooked till the fat was rendered then added to the mix. You basically fry the puff puff batter in a heated pan. What it reminds me of, as it cooks is crumpets. The little ‘breads’ develop holes, bubbles. 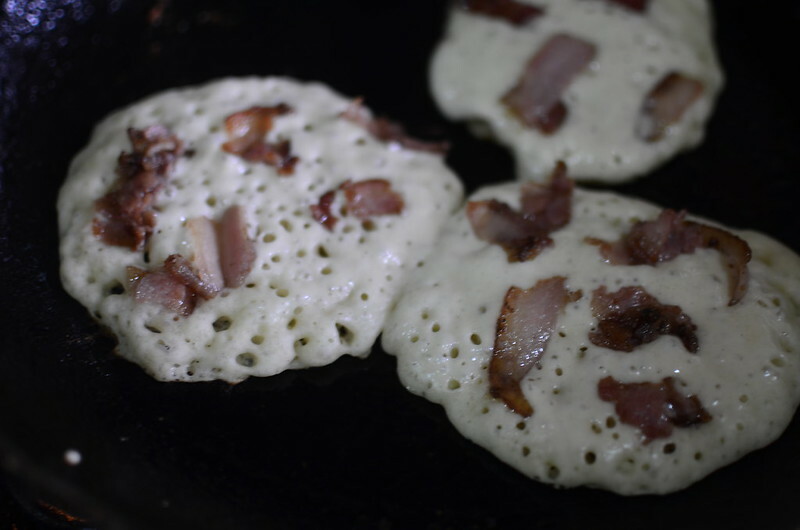 You can have it plain, or with additions – in this case, cooked bacon. Once the surfaces of the ‘breads’ are ‘dry’, I flip over to let the other side cook. All this takes a few minutes and in the end, you are rewarded with chewy pan breads. Anyway, yeah, what to do with leftover puff puff batter.